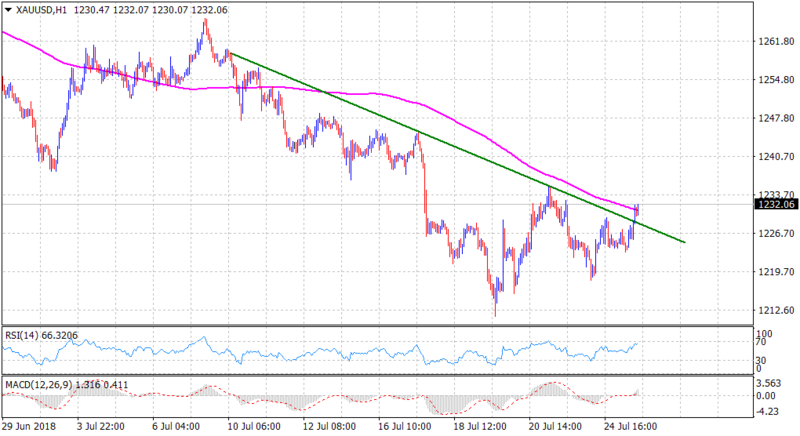 • The precious metal regained positive traction on Wednesday and is now holding comfortably above a short-term descending trend-line resistance. • With short-term technical indicators gaining positive momentum, a follow-through up-move beyond 200-hour SMA adds credence to the bullish breakout. • Hence, an extension of the positive momentum, led by some fresh technical buying, now looks a distinct possibility.